How can you make your cloud secure? Private virtual network, load balancer, anti-DDoS protection: choose the best options to improve and secure your infrastructure. Your physical private network will make it possible to securely interconnect and isolate your servers. With the vRack, build a global cloud infrastructure, no matter where your machines are located. 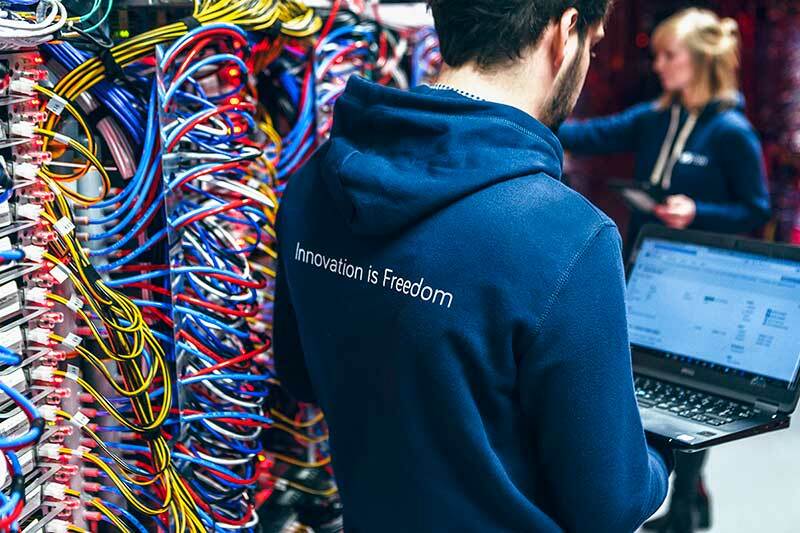 As a true hybrid solution, OVHCloud Connect allows you to interconnect your own network to your infrastructures hosted in our data centres. Deploy your cloud through a private, secure and high-performance network. IP addresses and blocks offer you flexibility in the development of your projects. With the fail-over IP, you can switch from one server to another if necessary or expand your business internationally with addresses located in the target country. 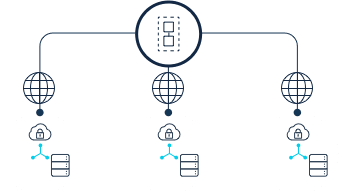 Ensure flexibility and high availability for your products with the OVH Load Balancer. 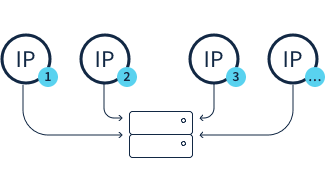 The traffic load of your services is distributed among your different IP addresses for optimal response time and performance. 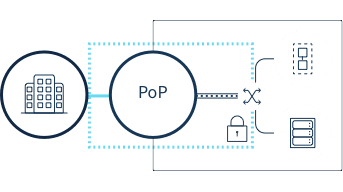 Included with all our services, the OVH Anti-DDoS offers powerful permanent protection against distributed denial of service attacks. In the event of an attack, your activities won’t be affected. Small and large companies may one day find themselves exposed to an attempted attack, whether it is directed against you or not. The most common is the DDoS attack, which consists in making the service unavailable by saturating the server with a barrage of requests. Inadequate support for the security of your infrastructure can also expose you to data leakage or loss. Don’t wait for an incident to occur before taking action. How can I make my cloud secure? Choosing Secure by design, a cloud designed for security, is the best solution to protect your business from any incident. Training and raising awareness among your teams is also essential in order to be as well prepared for any situation as possible. Our teams are at your disposal to support you in this process. "At OVH, we take the security and availability of our customers' data very seriously." That's why we offer you complete solutions to ensure the high availability of your infrastructure at all times. In that regard, our anti-DDoS protection is included with all our products. We maintain the security of our cloud solutions by continuously improving our infrastructures.